Some of the leading citizens decided that “time was running out” — hence “Hourglass” — and that no cavalry was coming to save them — not from the state’s capital or the nation’s capital. They realized that the only way they could replace Armstrong and re-energize the downtown was not with another dominant company, but by throwing partisan politics out the window and forming a complex adaptive coalition in which business leaders, educators, philanthropists, social innovators and the local government would work together to unleash entrepreneurship and forge whatever compromises were necessary to fix the city. This idea has long been known, just not by Thomas Friedman. Friedman is known for not doing deep research--writing in the moment ("The Bright Side," New Yorker Magazine), and this is an example of him not being particularly familiar with more than 100 years of academic writing on political and economic elites in both smaller and larger communities and nations. Nor fiction writing describing smaller communities by the likes of Sherwood Anderson (Winesburg, Ohio, 1928), John O'Hara (numerous stories and books referencing "Pottsville" Pennsylvania and other communities, 1950s-1960s), John Steinbeck (The Winter of Our Discontent, 1961), the story of small town banker George Bailey of "Bedford Falls" told in the movie "It's a Wonderful Life" (1946), and even the science fiction book Distraction (1998) by Bruce Sterling which has an extended discussion of Boston's patriarchs and their commitment to community investment. Not to mention 2010 reporting on Lancaster by the New York Times, "College and Hospital Team Up to Revitalize Industrial Site." Locally embedded webs of power. "The Establishment" (more recently "The Man" a la the tv show "In Living Color") is hardly a new phenomenon. Such groupings can be closed or open, innovative or hidebound. But this kind of grouping exists in every community. It's a coalition, it's complex, and it's adaptive. 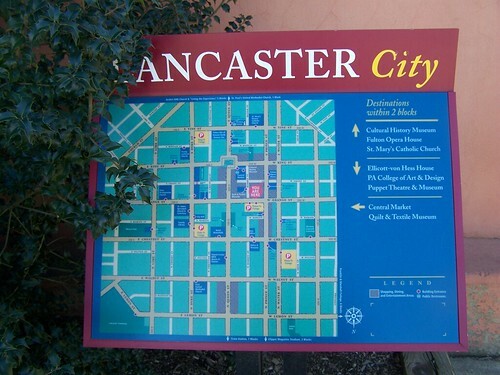 And yes, some, like in Lancaster, are more successful than community leader groupings in other communities. Newspapers sometimes shed light on this phenomenon. In DC, the local organization coordinating growth is the Federal City Council ("THE DISTRICT'S POWER BEHIND THE SCENES: Washington Post-connected business group wields influence over city's legislative agenda" and "The DC Lobby," The Common Denominator). Richmond. On August 14th, 2005, the Richmond Times-Dispatch ran a series of articles--10 in all--on that city's growth coalition, detailing the inter-connections between power brokers, business, community institutions, government, and community organizations. One of the articles discusses how the consolidation of local banking into larger organizations based elsewhere has had a deleterious effect on community and civic investments. cf. this more recent Richmond Growth Machine proposal to build a new Richmond Coliseum ("The push to restore Richmond's coliseum," Washington Post). I've made my peace with growth coalitions. They are needed. But I do think they need to be open to more viewpoints and the top-down organization is often problematic. A city and, more generally, any locality, is conceived as the areal expression of the interests of some land-based elite. Such an elite is seen to profit through the increasing intensification of the land use of the area in which its members hold a common interest. An elite competes with other land-based elites in an effort to have growth-inducing resources invested within its own area as opposed to that of another. Governmental authority, at the local and nonlocal levels, is utilized to assist in achieving this growth at the expense of competing localities. Conditions of community life are largely a consequence of the social, economic, and political forces embodied in this growth machine. By looking closely at the policy role of business leaders and how their position in the civic structure of a community enabled that role, he [Floyd Hunter] identified connections between Atlanta's governing coalition and the resources it brought to bear, and on to the scheme of cooperation that made this informal system work. In his own way, Hunter had identified the key elements in an urban regime – governing coalition, agenda, resources, and mode of cooperation. These elements could be brought into the next debate about analyzing local politics, a debate about structural determinism. Growth Machine theory is particularly good on various elements of the land use intensification agenda, from Downtown revitalization to sports stadiums and arenas, conference centers, and in particular, the role of local media--fully dependent of the success of the local region for its own success, being dependent on advertising revenues generated primarily from sales to local businesses--in cementing this agenda. When political scientists use Urban Regime theory to explain anything other than land use and attracting business and investment, in my opinion the arguments fall flat. G. William Domhoff's piece "Who Rules America: Rival Theories of Urban Power," discusses the Growth Machine (sociology), Urban Regime (political science), and other competing theories and the theoretically unsuccessful attempt by the "Yale School" to discredit the concepts of Floyd Hunter, upon which Urban Regime theory is based. Main Street commercial district revitalization. While the Main Street approach to commercial district revitalization dates to the late 1970s, it is based on how Corning, New York, partly at the behest of the local Houghton Family (founders of Corning Inc.), hired a "downtown manager" based on the idea that shopping malls had managers. The approach is somewhat different from typical top-down growth coalitions because, while it doesn't call it "community organizing," it's set up to include residents and other stakeholders in addition to property and business owners. It's more a middle approach than top-down, engaging political and economic elites alongside the local community. 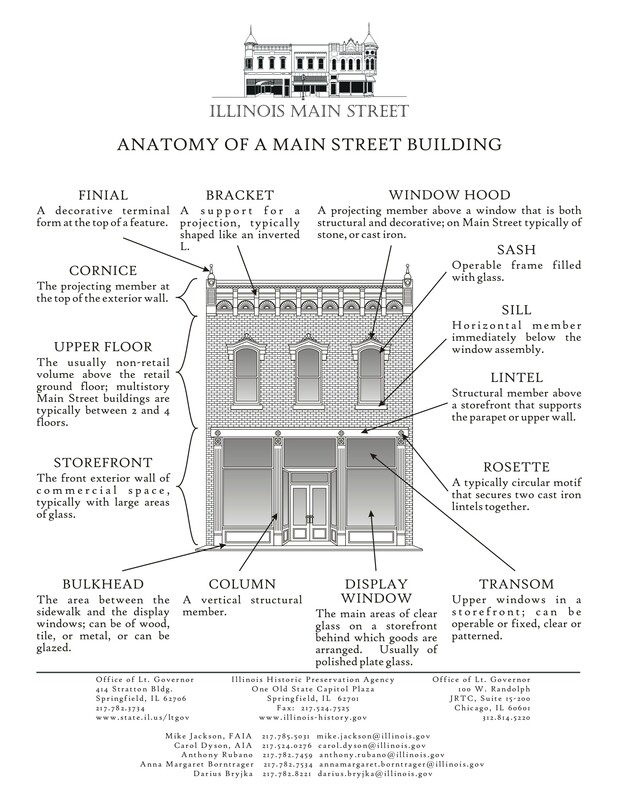 Back when Neal Peirce used to write a weekly column on state and local issues, one of his pieces was about "Main Street" commercial district revitalization work, and the fact that it can take upward of 20 years to see results, and the process never really ends ("Main Street Niches in a Mass Market World," 2004). In any case, commercial district revitalization comes about through complex, adaptive coalitions. State and local reporting, think tanks, etc. Plus there is Governing Magazine, on state and local issues, which dates to the late 1980s, and features articles in every issue on "complex adaptive coalitions" and their various efforts in communities across the country, not to mention the work of scads of foundations and think tanks, from the Center for Community Progress and Brookings Institution's Center for Metropolitan Studies to the Orton Family Foundation, which works with much smaller communities. Small town revitalization. I was aiming to write about the issue of smaller town revitalization last week, because the Washington Post featured the contrasting examples of Bristol, Tennessee -- successful -- and Bristol, Virginia -- failing -- in a story on the front page, "Two cities share a name, water and a library. But one is in big trouble." Then a couple days later I read the Friedman piece. Friedman discovered Lancaster, Pennsylvania--which has a community involved college, Franklin & Marshall, some industry that still thrives even as major firms no longer exist or moved, a strong agricultural system that is locally-embedded in part because of the business practices of the Amish, distinctive history and historic building stock, and a highly accessible location--served by highways about a two hour drive from Baltimore, DC, and Philadelphia, plus passenger rail service from Philadelphia too. 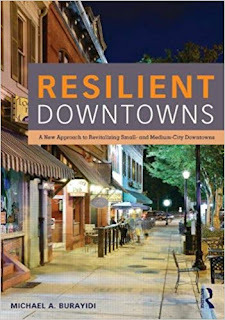 I have written about smaller communities like Greensboro ("Better leveraging higher education institutions in cities and counties: Greensboro; Spokane; Mesa; Phoenix; Montgomery County, Maryland; Washington, DC") or Spokane ("President of Washington State University dies: fostered development of the "University District" adjacent to Downtown Spokane") and their comparative success in revitalization. And some of the points I made in this piece on Pittsburgh ("Urban economic development strategies: do you invest in people or places? ... yes") are equally relevant, in particular the value of innovation, local foundations committed to community investment, and engaged citizens and civic organizations. Typically, smaller communities that are successful are marked by at least five elements beyond the six elements that I have identified as being key to larger city efforts (appended at the end of this entry). Note that those six elements presuppose the existence of a community-focused decently functioning "growth coalition." 1. Positive access and locational factors. This means that they are reasonably well located vis-à-vis metropolitan centers, within striking distance a goodly portion of US population, and have superior roadway (Interstate freeway) connections at a minimum. Airports help. Besides being easy to reach, highways and airports support logistics and distribution functions. 2. The presence of one or more colleges and universities. Except for the smallest schools, such institutions tend to be stable employment and economic development engines. It is especially useful if the colleges have decent business and engineering programs. Colleges tend to grow, and help to anchor community business development, extend the range of a community's cultural activities, and contribute to human capital within the city and business community, and often the local school system in ways that a typical community of this size doesn't normally experience (cf. "More Prince George's County: College Park's militant refusal to become a college town makes it impossible for the city(and maybe the County) to become a great place"). 3. Possess some still functioning businesses and industry sectors, including manufacturing, which remain successful even in the face of globalization and industrial consolidation. Some cities, like Greensboro and Chattanooga, even manage to grow these sectors. 4. Long time community foundations (created out of early periods of wealth), with leadership firmly committed to community investment. While it's a larger city example, foundations in Pittsburgh managed by the now deceased Richard Scaife--who funded very conservative political organizations on a national scale--continued to invest in the city, funding high profile historic preservation and adaptive reuse efforts that helped to redefine a post-industrial city. In Baltimore, the Abell (original owners of the Baltimore Sun), Weinberg (real estate), and Casey Foundations invest similarly. In Pittsburgh, the Heinz Foundations have also been leaders. In Greensboro, it's the Bryan Foundation ("Ex-city manager Kitchen to join local foundation," Greensboro News & Record). Etc. 5. They don't have other local competitors or if they do, they predominate regardless. 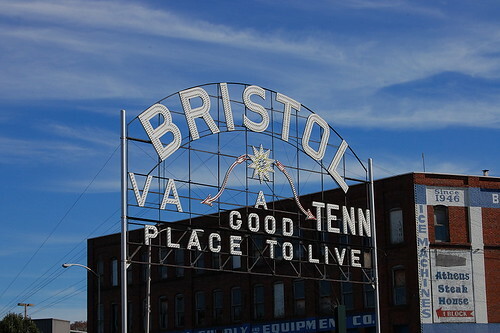 What hurts Bristol, Virginia is that it is next to another city, Bristol, Tennessee, and there isn't enough economic activity to support two thriving communities. The same goes for Tacoma vis a vis Seattle, or Petersburg, Virginia--an economic basket case like Bristol, and Colonial Heights--which has the bulk of the county's retail businesses all generating sales tax revenue for that city at the expense of others. Ann Arbor over Ypsilanti Michigan. And Lancaster dominates York and Reading, each within 30 miles of the city. Fortunately for Reading, they have a regional corporation still based there, Boscov's Department Store, which funds community investments, and a locally owned newspaper... Etc. 6. Locally engaged/owned newspaper and media. Communities like Pittsburgh, Spokane, Reading, Pennsylvania, and Lancaster still have locally-controlled and community-embedded newspapers, even if the Pittsburgh Post-Gazette has taken a right turn of late. But even chain newspapers in smaller communities like Greensboro or Richmond tend to be locally focused and engaged, and part of the local "establishment". My line about this is that places like Pittsburgh have what I call "a desperate willingness to experiment" because they have no other choice. But Pittsburgh, in terms of revitalization opportunity, has at least seven advantages that many other communities no longer possess. 2. help develop new technologies and generate spin off businesses which build the region's economy and provide higher paying jobs. 3. it doesn't hurt that the University of Pittsburgh Hospital System is world class, especially in organ transplantation. This anchors medical care as a key "local" industry. 4. Pittsburgh still has a handful of large national and global companies based there, a mix of manufacturing-research based companies like PPG and the U.S. headquarters for Bayer AG, software companies, and service industries (such as Mellon Bank). This means that there are still job and idea-producing industries there, even though these businesses are subject to the same concentration and downsizing trends affecting such companies. 5. Pittsburgh has a couple of incredibly strong foundations still present locally, focused on funding organizations and initiatives that improve the city both socially and economically. Our mission is to help Southwestern Pennsylvania thrive as a whole community--economically, ecologically, educationally, and culturally--while advancing the state of knowledge and practice in the fields in which we work. 6. it helps and maybe this comes from the innovation history and legacy that the region exhibits, that organizations there are problem and self-help focused. The Sprout Fund's Seed Award, which funds small citizen-initiated projects, is more innovative than just about any foundation-based program that I can think of in the DC region. It's about fostering initiative and self-help, rather than looking to the government to solve your problems. Other similarly focused organizations include the Pittsburgh History and Landmarks Foundation, one of the nation's most effective local historic preservation organizations, and two impressive technical assistance organizations, the Community Design Center of Pittsburgh and the Community Technical Assistance Center. Despite the many universities based in DC, plus the local affiliate of the Local Initiatives Support Center, I would aver that we have no such comparable organizations in DC. Most cities in need of revitalization lack such organizations, and it makes revitalization that much more difficult. Ahh, and the "community development corporations" there are far more intriguing than in most cities. The South Side Local Development Corporation has led the revitalization effort on East Carson Street, one of the first Urban Main Street programs, and one of the most successful. The Penn Ave Arts Initiative is the joint effort of two neighborhood groups, and its one of the more successful arts development initiatives I've seen, working in a very difficult area with limited opportunities. The Lawrenceville Corporation's 16:62 Design Zone is another best practice revitalization initiative. And the Northside Leadership Conference has a number of interesting local development initiatives, and in part receives funding from the local hospital complex. Plus, Neighbors in the Strip continues to plug along (with inadequate support from the city) on their public market creation initiative. A 6,000 s.f. market opens this summer (their proposal is to take over part of the old B&O food auction warehouse for a full-fledged market). 7. The arts organizations there have some heft. The Pittsburgh Cultural Trust has focused on re-establishing arts uses downtown and maintaining and extending the arts infrastructure there. The Carnegie Institutions set a standard of excellence as well. Etc. So I guess the point is that you need to have people-focused institutions that are place-committed. Capital can move anytime. But locally focused and locally committed institutions won't move. And if these institutions can develop a focus on improvement that is based on best practice, innovation, and quality then they become the levers and fulcrums of a new kind of industry. If they don't, revitalization efforts are muddled and don't ever amount to very much. flexibility and a willingness to take advantage of serendipitous events and opportunities and integrate new projects into the overall planning and implementation framework (examples include Bilbao's "acquisition" of a branch of the Guggenheim Museum and the creation of a light rail system to complement its new subway system, Liverpool City Council's agreement with a developer to create the Liverpool One mixed use retail, office, and residential development in parallel to the regeneration plan and the hosting of the Capital of Culture program in 2008, and how multifaceted arts centers were developed in otherwise vacated properties rented out cheaply by their owners in Dublin, Helsinki, and Marseille). Another resource on smaller town revitalization is Resilient Downtowns: A New Approach to Revitalizing Small- and Medium-City Downtowns by Michael Burayidi. The examples he writes about--small cities like Muncie, Indiana or Holland, Michigan--describe the successful efforts of growth coalitions in those communities, although he does not use that type of analytical lens. He does miss the value of colleges and universities as an element of successful community economic development. What's remarkable about this storefront?